Once again, Arlington Soccer players make us proud! 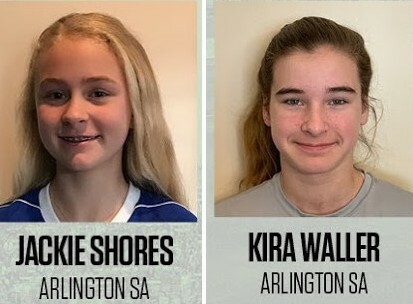 Two Super Y players, Jackie Shores and Kira Waller, have been selected to participate in the prestigious USL Experience (USLX) on the U13/U14 Girls team. The USLX, which will be hosted in Tampa from April 11-14, offers players insight into the life of a professional, including training, playing games at a professional facility, high-caliber coaching and participating in media sessions. In addition, players gain exposure to various collegiate and professional scouts and coaches that are present at the event.